Weighs only 32 lbs. (excluding front rigging) and supports up to 300 lbs. 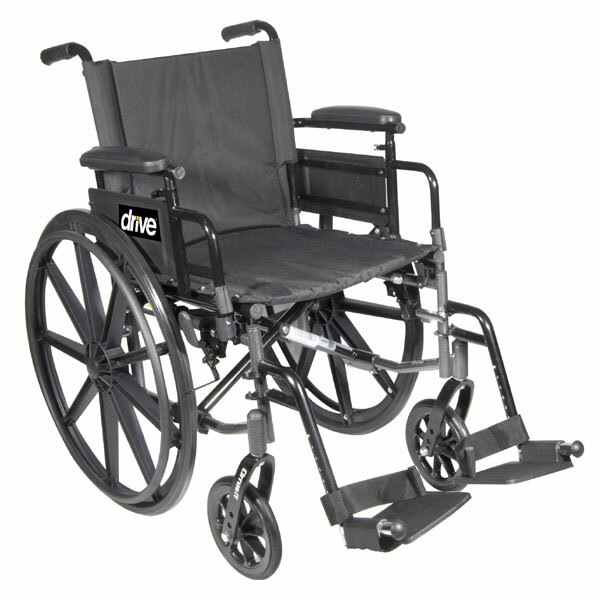 The Drive Medical Cirrus IV High Strength Lightweight Wheelchair offers the ideal combination of quality and economy. This model of the Cirrus IV Wheelchair comes in silver vein, has a 16-inch wide seat and weighs just 32 lbs. (excluding front rigging) while supporting up to 300 lbs. The impressive flip-back arm feature for the Cirrus IV Wheelchair has an easy-to-use push button mechanism and lets you adjust the height of the full arm from the top of the seat rail from 10 to 14 inches. In addition, the Cirrus IV comes with swing-away footrests with tool-free adjustable length riggings and boasts a height-adjustable back that is also tool-free. See full product features and specifications below.